I just ended my tenure in office as the Vice President of a professional organization in Pittsburgh. My last event was an awards ceremony in which I sat on the committee planning the event. 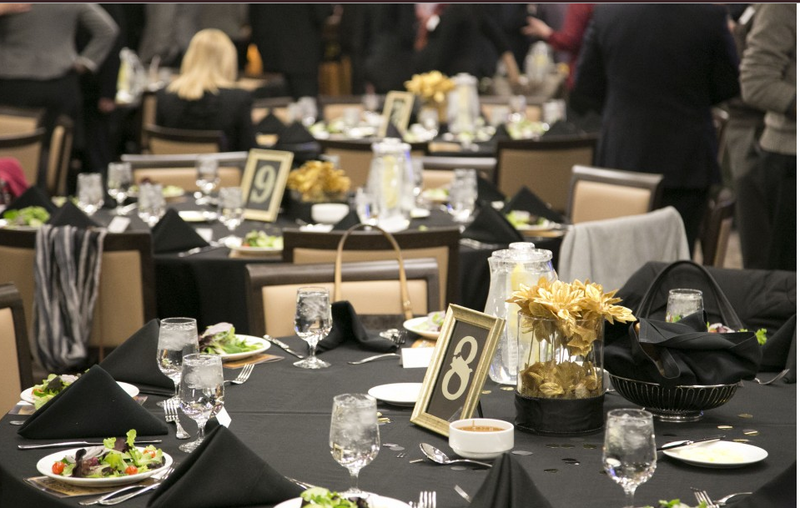 I took over on décor and we planned on using balloons to add some sparkle to the event…until we had an amazing response to the event with more than 50 guests than we anticipated. We also saw the final floor plan the week of and balloons would block the view of those in the back of the room. So four days before the event, we had to resort to another option with a limited budget. I ventured out to a craft store during a snow storm and I was able to turn around the following…. The event was held at PNC Park – home of the Pirates. 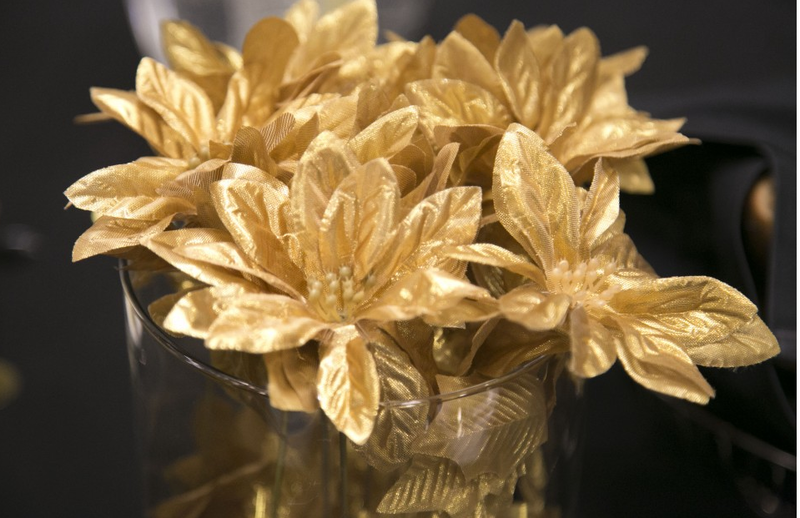 Playing off of black and gold, I purchased gold faux flowers on way sale from Christmas (75 cents a bushel!). I then bought 10 taller circle vases and 10 lower square vases. They didn’t have 20 of one or the other. Once I had the flowers and vases, I then grabbed 20 pieces of Styrofoam, black ribbon with a bit of sparkle and glue sticks. 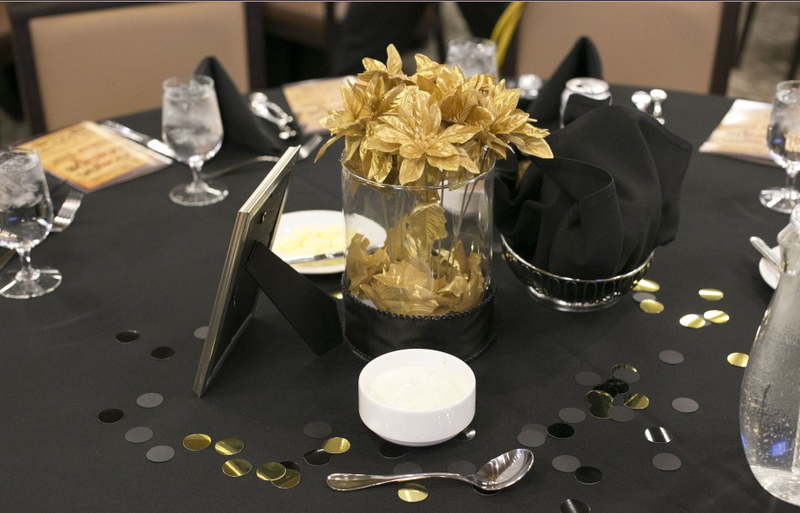 To add some more depth to the table, I bought black and gold sparkle poster board and regular black poster board and a circle hole punch to make confetti for the table. 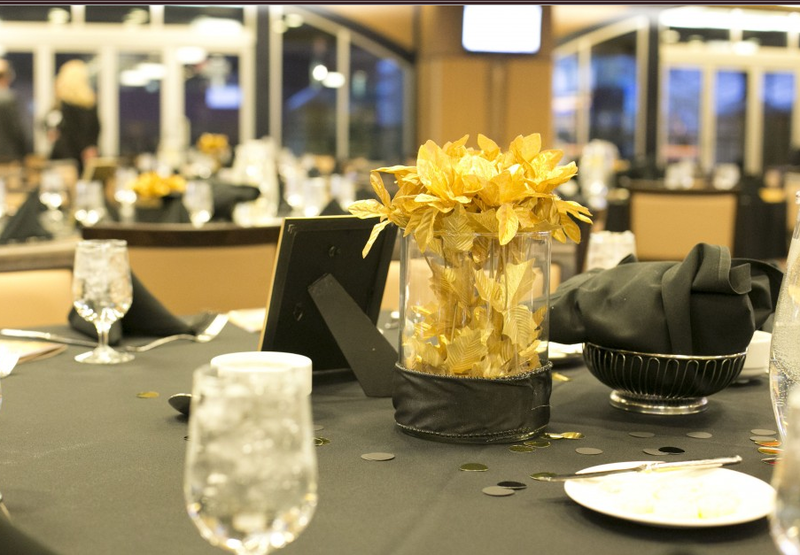 Total Bill: $253.99 for 20 centerpieces! To assemble the centerpieces, I cut up some petals and glued them on to the Styrofoam to cover the white base. I then trimmed the flowers with wire cutters and stuck them into the Styrofoam. Finally, I filled the vase with left over flowers just to continue to cover the bottom on the vase. Did I LOVE them? No. But did they do the job? YES! I mean they worked for a four day turnaround! After making these for this price, I sorta wished I made my own centerpieces for my wedding! Do work, girl! They look great and you cannot beat that price! Hope the event was fun!